It is important to consider the safety of all experiments. 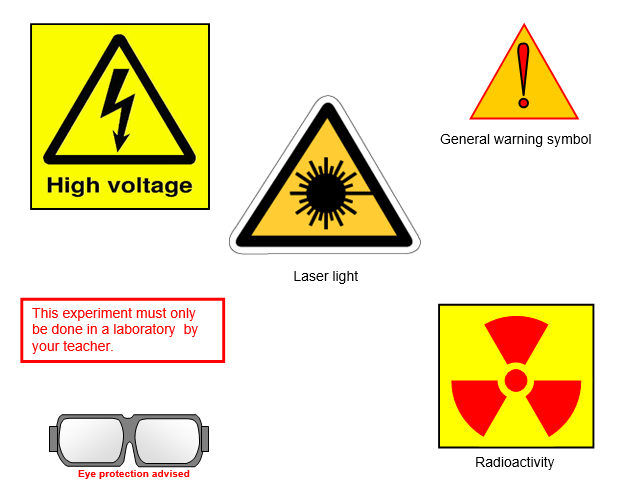 In schoolphysics I have attempted to warn of any safety implications associated with any of the experiments. However I regret that neither I can accept responsibility for any damage or injury associated with any of the material suggested in resourcefulphysics. It has to be left to the individual teacher to ensure that the experiments carried out in their own laboratories are safe and do not pose any unacceptable risks to either staff or students.